"(The Bible says) Let the older teach the younger...artists come to the couch," four-time Stellar Award winner Dr. Ernest Pugh said to young artists about his new radio show "On the Couch with Dr. Ernest Pugh at the Worship Leaders' Lounge." The radio show launched on The Choice 105.3FM in Richmond, Virginia and airs on Saturdays at 1 p.m. ET and Sundays at 5 p.m. ET. Dr. Ernest Pugh, who has a Doctorate in Ministry from Howard University, just wants to point young artists in the "right direction." His "On the Couch" radio show is also available on Google Play, iHeart Radio, Apple Podcasts and other outlets. Dr. Pugh has released nine albums through his label EPM Music, which has a distribution deal with Entertainment One. 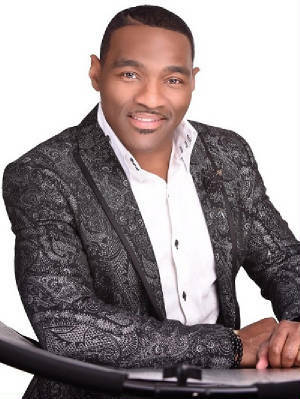 He has over 30 years as a Minister for churches in Houston, Atlanta and Ft. Washington, Maryland at Ebenezer AME initially under the leadership of Minister of Music Byron Cage. "What they say is safe...we pre-record the show," Dr. Pugh stressed about confidentiality in on-air counseling. "We sometimes shift from the industry...to walking in the Holy Spirit." Dr. Pugh laughed when recalling that he been in the music business for so long he went from everyone's brother to everyone's uncle. When I asked how the radio show was conceived he said, "I had been traveling around with a one day symposium covering topics we need to discuss today and a young lady said, ‘did you ever think of doing a podcast?' Then the owner of a radio station said, ‘Did you get that podcast going? I want to be on that list'." 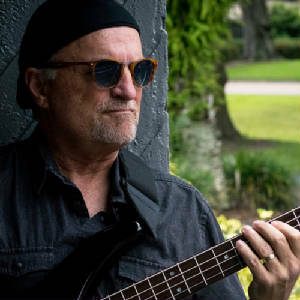 Bass player Allen Carman releases a new solo project, "Carmanology" and his skills on it are so good it left me wanting to hear more. Released on April 5, 2019 Allen shares the spotlight on "Carmanology" (ACP Music) with some iconic musicians such as Grammy Award winning Nile Rodgers (guitar), Rick Braun (trumpet), Gumbi Ortiz (percussions), Philippe Saisse (keyboard), Marc Antoine (guitar) Evan Garr (violin), Don Harris (trumpet), Andy Snitzer (sax) and Bill Harris (trumpet). "He's a legend to me as well," Allen said about Nile Rodgers when I complimented him for having such an icon on his project. "I'm so excited I landed that opportunity to get him involved. To my knowledge this is the first time for him getting into the Smooth Jazz world. He's done so much in his career." Nile Rodgers is a three-time Grammy Award winning music producer, composer, arranger and guitarist. He is best known for co-founding the group Chic ("Good Times") and for his songwriting/producing on the works of Sister Sledge ("We are Family") and Diana Ross ("I'm Coming Out"). Allen is a lawyer, he said because this mother couldn't see him playing bass for a living at 30. "I was practicing law for 20 some years," Allen recalls about how when he reached 30 years-old he heeded his mother's advice and went back to school, received his Law Degree and eventually passed the Bar Exam. "I'm excited again about playing. So much unexpected successes...I always felt more of a musician than a lawyer." He said the time away from playing the bass only made him a little rusty, but I couldn't tell on "Carmanology." Very seldom do I hear a bass take the lead on a song and when Carman did, it was too short for me. "I needed to get at that level to keep up with the people I am playing with," he laughed. My favorite cuts on the "Carmanology" album include #1 "Groove Salad" because the horn playing is humming and that piano is crazy smooth; #3 "Carisma" because of Allen's bass solo it left me wanting to hear more bass playing; #4 "State of Mind" because I love that Latin flavor; the title song "Carmanology" because its just crazy cool, and #9 "River" because of its fairytale/Christmas/holiday feel that rides on the wings of excellent piano playing, makes it just heavenly. SYNDICATED COLUMN: Eunice Moseley, has an estimated weekly readership of over ¼ million with The Pulse of Entertainment. She is also a Public Relations Strategist and Business Management Consultant at Freelance Associates, and is Promotions Director (at-large) for The Baltimore Times. www.ThePulseofEntertainment.com. EVENT: "Uplifting Minds II," a Free Entertainment Conference held annually in Baltimore (Saturday April 20, 2019), in partnership with Security Square Mall and The Baltimore Times and Los Angeles (November/TBD). Offering an Entertainment Business panel and a talent showcase and competition (vocal, songwriting, dance and acting) with over $15,000 valued in prizes for each category. www.UpliftingMinds2.com.